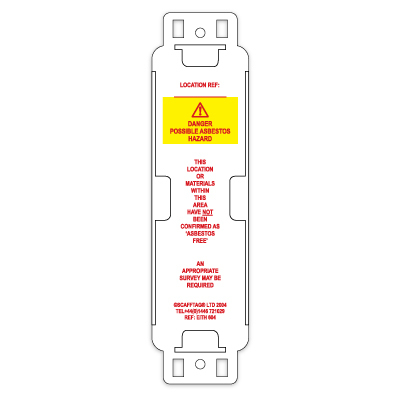 Browse our complete range of asbestos inspection systems to ensure latest inspection status is instantly visible at all areas at risk of having Asbestos Containing Materials (ACMs) present. 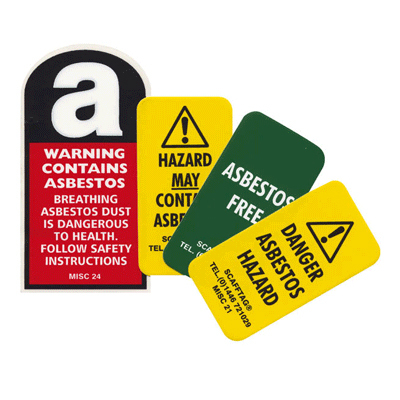 Asbestos tag, asbestos warning stickers, and asbestos guidance tools are all available online. 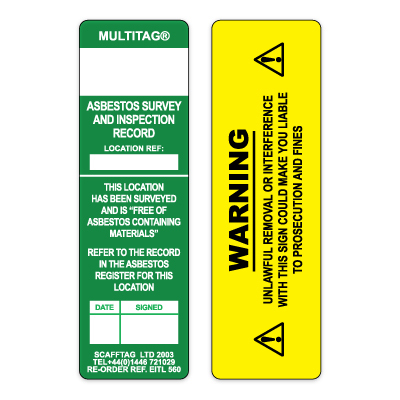 Need help selecting asbestos control tagging? 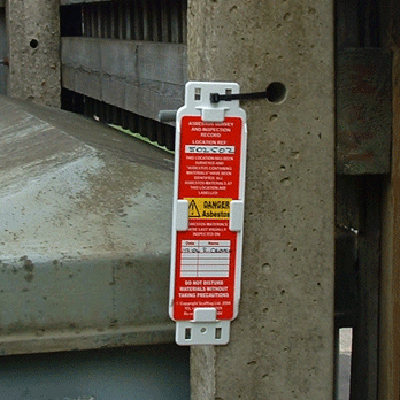 See our Absestos Control Inspection Guide.